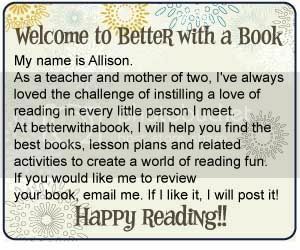 Better With A Book: It's Party Time!! It was Brynn's second day of preschool today and you'll never believe it....Brynn has been invited to a birthday party! This is her first invite from a preschool friend and she couldn't be happier! Immediately, I thought of Mo Willems book, I am Invited to a Party! This is an elephant and piggie book and we can't get enough of Gerald and Piggie! 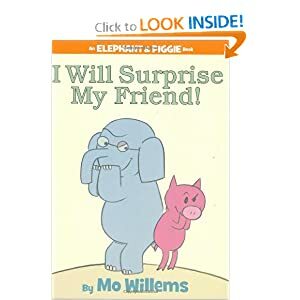 We were first introduced to Mo Willems when we received Knuffle Bunny as a gift. 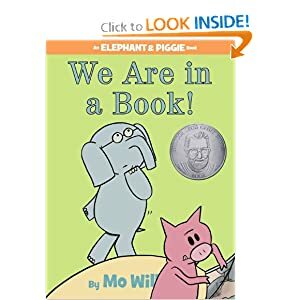 While searching for other Mo Willems books, we came across the elephant and piggie series. These books are appealing to both adults and children alike because of the animal's loving, funny relationship and the very few words per page, which makes them great for emergent readers! These books are easy to read and entertaining. That's not an easy combination to find! In I am Invited to a Party!, Piggie receives an invitation to a party and asks her friend Gerald to attend. Gerald knows parties, so this calms her nerves a bit. Gerald then leads them through a series of silly-themed clothing ideas because they MUST BE READY! I laugh every time Gerald yells, "WAIT!" And just wait until you see what kind of party it really is! Gerald does know parties! Parents and teachers, make sure you have your silly, animated voices ready! These books are much exciting when read with enthusiasm! If you like I am Invited to a Party!, you should check out the ones listed below! They are favorites in our house! this is so cute! hope Brynn is loving preschool!